We have reached an interesting time in the video conferencing market, with a number of unique options popping up at almost the same moment. Of course your business can keep it super cheap and doesn’t even need to pay for video conferencing anymore. But for those that absolutely need a paid web conference software solution that can be dedicated specifically to conferencing and meetings, we wanted to take a look unique options are what out there now. Cisco recently launched its Spark Board, essentially defining a new product category, except for the fact that Microsoft also launched a similar product a year earlier. And joining in on the fun as well is Cisco’s rival, Polycom with their take on what a modern conferencing room solution should look like. All three are different takes on more or less a similar solution to the same problem – a powerful, flexible, easy to use conferencing room solution with all the necessary tools to help your meetings stay productive. The entire point is to help rid conference rooms of those bulky, outdated cable messes of incompatible hardware. At first, these white board solutions seemed like a newer version of the laggy, unresponsive and limited projector Smart Board’s my high school threw in every classroom. In this case, the Immersive Studio Flex sets out do just that, and in the same vein as the two big wall tablets, so we wanted to include it for our readers to learn about as well. Click on a product in the table below to jump straight to that section. So starting right away the Polycom Immersive Studio Flex doesn’t have exactly a fair chance competing with the Spark Board and Surface Hub. 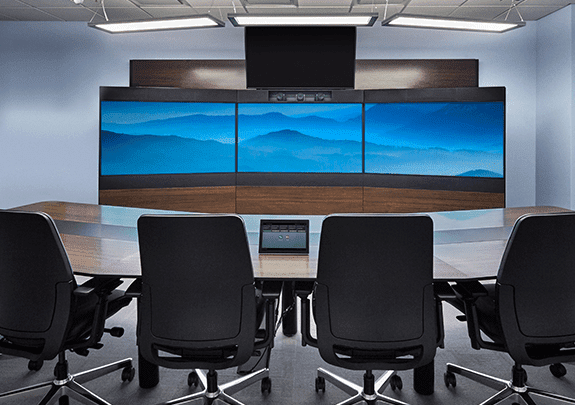 In fact, it isn’t completely fair to those solutions either – they are in somewhat of a new market, meanwhile the Immersive Studio Flex from Polycom is the simple, modern take on a legacy concept. The Immersive Studio has existed for a while, its the Flex part that’s new. It is important to note the difference between the Immersive Studio and the Immersive Studio Flex – Flex being the agile, flexible and easily adopted option from Polycom in which you buy only what you need. The Studio Flex was announced very shortly after the Spark Board, and represents one of the newest solutions to the market from Polycom, as an addition on the Immersive Studio. While there is no board, the Studio Flex is probably one of the closest comparable products you’ll find from the hardware giant. The idea of a simple, flexible, easy to adopt and use solution meant for video conferencing and meeting rooms is what we are focusing on here, the white board is just another approach from rivals I wanted to compare to. We all know Polycom for their phones, speakerphones, microphones, and especially their cameras. Chances are, most of the conference rooms in your building are already outfitted with some form of Polycom tech, or maybe you even have a Polycom desk phone. 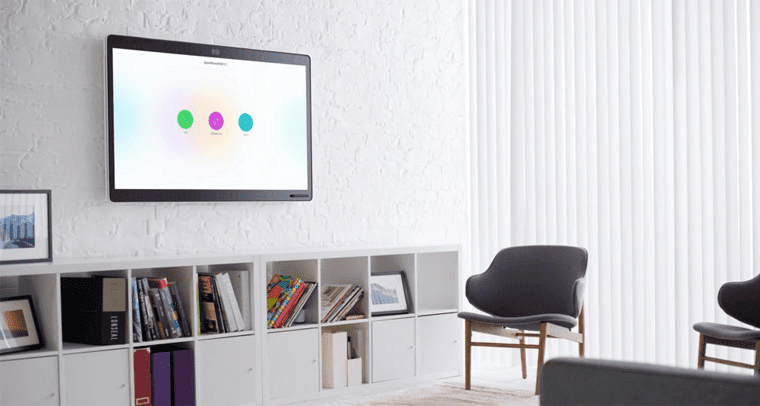 The Studio Flex might not be a direct competitor, or replacement for these whiteboard conferencing solutions, but the solution does exist as comparable and is still most likely on the radar for cross shopping. 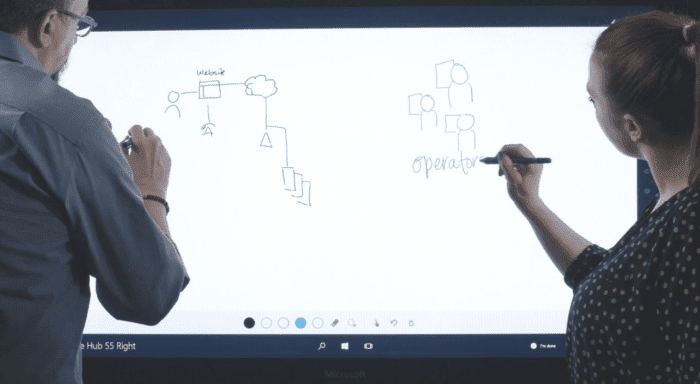 So while the Spark Board and Surface Hub are mainly focused on the idea of real-time collaboration through as many tools as possible, mainly a whiteboard and a video conference, the Immersive Studio Flex takes a slightly different approach overall. Polycom has its roots in traditional video conferencing hardware, and is sticking by those guns: instead of adding in a gimmick like the whiteboard, Polycom instead is focused on providing the most realistic, robust and reliable video conferencing system possible. The name of the Immersive Studio Flex gives it away: the entire thing is meant to be as immersive as possible. 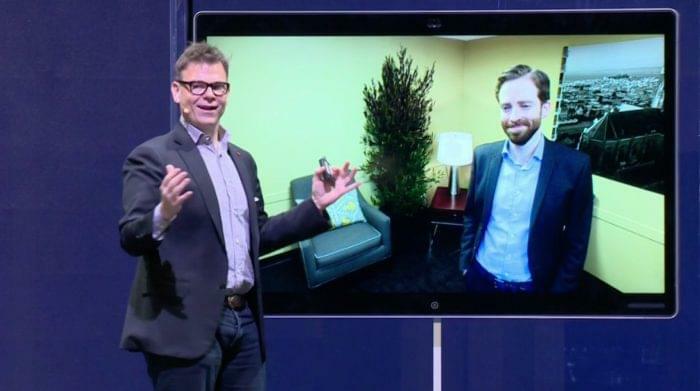 We discussed the Surface Hub’s 1:1 perspective through camera placement, but the Polycom is only a step above when it comes to a realistic, immersive meeting experience. So while the Surface Hub and Spark Board will immediately resemble a tablet to anyone that has been around technology in the past 5 years, the Immersive Studio Flex on the other hand might look a little bit more science fiction-ish. The entire thing is three thin bezel 65” displays, that can also be paired with a fourth display above for presenting documents and files. Overall, the Immersive Studio Flex is just that, flexible, and hardware can be chosen specifically for each use case – building off what you already have, or starting from scratch. If your conference room is equipped with microphones or cameras already, well then you won’t need new mics or cameras. The entire system is meant to produce an “across the table” experience – so meetings feel as if they are occurring in real life, in real time, in the same exact room. The massive display is meant to, like with the Surface Hub, create a window into the other room. 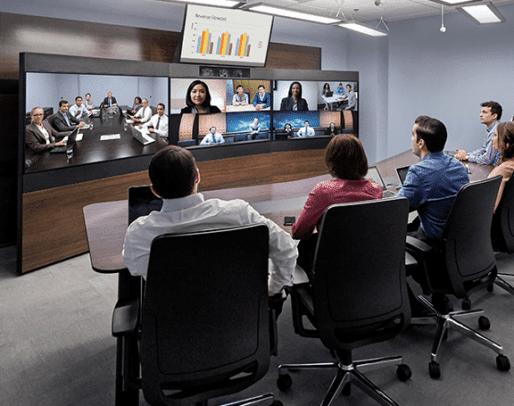 So Microsoft obviously has Windows, and Cisco has the Spark platform, but what does Polycom have to power their conferencing device? Well, that’s where the RealPresence Clariti suite comes in. Launched in early 2016, Clariti was a clears shift of Polycom to on-premise only solutions to adopting the cloud, and cloud based solutions – and even pricing. While actual information on what using the platform is like, or how it even works, is a bit limited, the basic functions and capabilities of the app are fairly standard and straight forward. 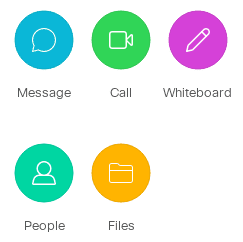 While it might not come out as a direct competitor, Clariti is very close to a UC collaboration platform, which allows for HD Voice and Video calls primarily – this is Polycom after all – virtual meeting rooms, and general web-collaboration tools (file sharing and editing) are included as well. Essentially, RealPresence Clariti can be seen as Polycom’s attempt to retake some ground they lost when Cisco unleashed Spark. Although again not directly comparable, much like this overall showdown, they are similar solutions to a similar problem. Like all cloud based apps, Polycom markets Clariti as an incredibly simple solution to use, and in the world of Polycom that can be a breath of fresh air – their solutions are capable and high end, just complicated. The simplicity starts with pricing, all features are included for all plans, pricing just differs based on how many users your company needs licenses for. The entire thing is of course cloud based, and even allows for web browser access. Other features include the usual directory service and presence indicator, and APIs are available to build your own integrations. Well the entire setup is essentially three massive 65” displays, and a potential add-on for an additional 55″ display right above for presenting files and work. You could do this on the three other displays, but if you’re in the middle of a video conference it makes more sense to utilize a dedicated display instead of cutting out one third of your entire meeting. Unfortunately, unlike the Cisco and Microsoft options, these displays are only 1080p – Polycom claims they can be up scaled to 4k (that’s not real 4k, by the way) or simply displayed in 1080p. If you ask me, this is a pretty big disappointment especially compared to its rivals with REAL 4k. 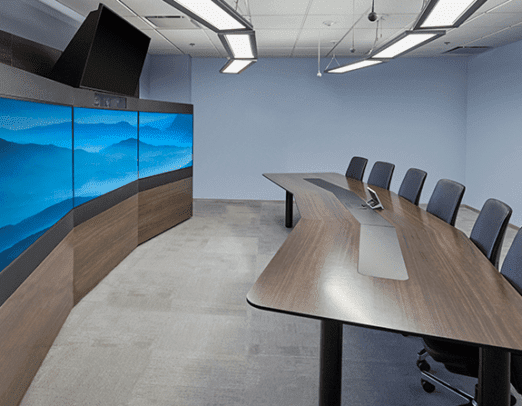 Polycom wants to claim the Immersive Studio Flex offers a “life-like” quality and experience, but 1080p videos on a 65″ screen is going to leave you with very many noticeable pixels. Just to break that down, a 1080p screen has a resolution of 1920 x 1080, which means that on a 65″ display at 1080p will have 33 pixels inside every square inch of the display. In comparison, a 4k display like on the Surface Hub or Spark Board has a resolution of 3840 x 2160, and on a 65″ display that means there are a staggering 67 pixels per inch. Now the Polycom solution is stretching your display two three, not just one 65″ screen so in essence you could say the resolution is 5760 x 1080 – but this does not lead to a more clear image, it simply compensates for the screen being stretched across three monitors, its still a 1080p resolution, just a longer horizontal display across three screens. Since if you divide that by 3 it comes out to 1920, the pixel density remains unchanged. So now we understand, 4k is essentially double the number of pixels in each inch, which means essentially double the clarity of the image. Polycom explains they have “up-scaled 4k” but this just flat out isn’t real 4k and cannot completely make up for the difference. Note this is mostly for the video conferencing experience itself, as the overall displays ARE 4k. So I’ll be honest, I’m not a big fan of the Polycom approach – I think it is essentially the antithesis of the Spark Board and Surface Hub. This approach feels like Polycom trying to throw modern tech at an old problem. But it isn’t even really modern tech. Up scaled 4k isn’t the worst idea in the world, but at the end of the day it simply is not real 4k and will not necessarily compare to real 4k. 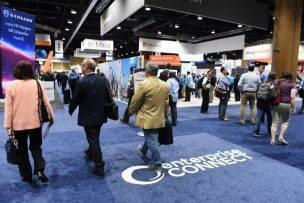 But I recognize that it IS a different approach, and would be applicable to in the right setting – as I said this isn’t a completely fair comparison to make, and Cisco does offer their own Immersive solutions. However, I felt the need to highlight a different approach to offer a more rounded comparison . The Polycom approach definitely makes sense if you simply need ONLY a video conferencing solution. If you are a large business, or one that has been around for a long time, and all you want is a massive video conferencing display then the Immersive Studio Flex might be a great way to do that. The idea is that the Immersive Studio is now flexible, so Polycom can work with your office and layout, and existing tech to put together a package that has only what you need, and leveraging your existing furniture and location. However, this approach just feels old school and limited – anyone can buy TV’s and hook it to a camera with speaker phones, I put together an entire list of how you can create a capable Skype setup for cheap. So I will admit again this isn’t a completely fair comparison for Polycom, the Hub and Spark Board are unique and in their own product category – a clear break away from the exact same technology that the Immersive Studio Flex is. 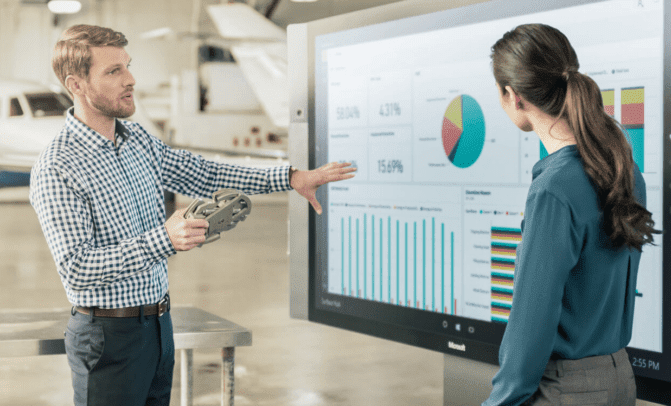 There definitely is a need for this solution, and not everyone needs the specific Spark or even whiteboard functions, but even then the Surface Hub, with its Windows 10 OS, could be a good addition to holding far more productive meetings with even more tools. Microsoft’s Surface Hub on paper sounds like an amazing option, with the recipe for a powerful conference tool, as powerful and capable as a full computer running Windows 10, but also incredibly simply with a touch display, and just one overall device. The concept is right on the money, and there’s no doubt in my mind with the recent Surface line of tablets and even the Surface Studio, Microsoft is putting together well made hardware to match their widely adopted software. I also wouldn’t be surprised if they somehow work Microsoft Teams into the mix with an integrated app. But the real key here is that the entire solution needs to be easy to use, while still managing to include all the powerful tools we need to carry out a productive meeting – these tools need to be simple, easy to use, quick to adopt but also capable and powerful. That’s where the nitty-gritty details, and real world experience, come in to play. Paper comparisons can only hold water for so long. 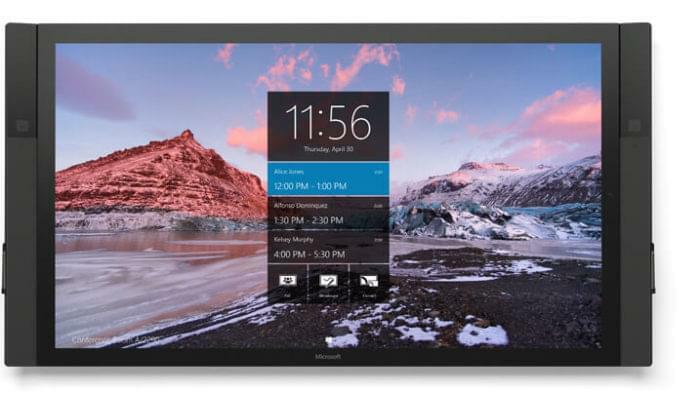 So in essence, Microsoft’s Surface Hub can be somewhat compared to a large tablet, just like the Cisco Spark Board has been, but it’s a Windows tablet – like other Windows tablets, laptops, 2-in-1’s, or even their phones; everything is running pretty much the same exact version of Windows 10. This is a good thing, since Windows is probably the most widespread operating system, with the most compatibility for other tools and software, and since its standard Windows 10 you can install all your favorite desktop apps. But an important distinction to make, the Surface Hub is not a personal computer, this is a communal, or collaborative, or ambient, computing experience, so this does present a few key differences in how information is stored, as well as how accounts and permissions are managed. For example, only administrators with the right level of permission can install new apps, users have to manually connect to the Surface Hub, and the biggest kicker of all is probably the lack of Cortana. Microsoft specifically said that Cortana knows too much about any one user to operate properly and securely in a group environment. So no voice commands here, and many might dislike that – since this is a Windows computer, you still need a keyboard to type. You can attach a wireless keyboard but if you are standing that will be less than ideal, so you’ll be relegated to the on screen keyboard that you can’t even resize, pecking away one letter at a time. Preloaded on the Surface Hub are three main options: Call, Whiteboard, and Connect. But of course Microsoft also includes their most popular workplace apps, Skype for Business, and OneNote. Calling is handled through Skype for Business in the usual fashion, with the apps doing the heavy lifting allow for easy placed and answered conferences. Whiteboard is well, just that, and OneNote, probably the best digital notebook, is a great app to have included for even better drawing and note taking functions. 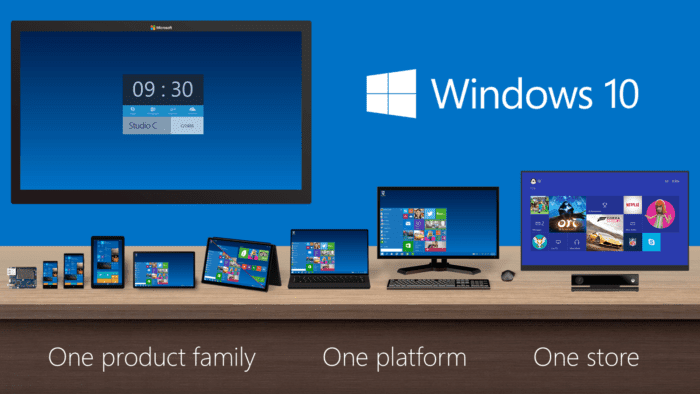 As I mentioned before, the Hub runs Windows 10, so in reality you can install any Windows application you need. Although its worth noting, since the Surface Hub doesn’t seem to benefit from being connected to a cloud network, you lose on out the automatic and constant saving that the equivalent Spark Board has. Users can save their whiteboard drawings or OneNote diagrams, but only as a final PNG picture image or OneNote file – you can’t go back and see the process, or edit it as if it was still a live document. A pretty big strike against the Surface hub when it comes to the cloud collaboration aspect. Microsoft made sure to include 100-point touch so the Hub does support multiple users at one time clicking and poking different things. The usual touch screen controls of pinching and dragging are accompanied by two Hub pens on both sides of the screen, which allow for more in depth drawing control and even an eraser option if you flip them upside down. One of my favorite Windows features in the window snap function to help resize apps, it seems like the Hub is limited to only 2 displayed at once, but this makes for a great conferencing setup with your Skype call on one side, and drawing space or presentation on the other. Speaking of conferencing, hardware included that powers it all is a 4k resolution display, two separate 1080p cameras placed on both sides of the screen, at eye-level. Microsoft claims, and users agree, this provides a very close to 1:1 perspective, and we’ve heard that video calling on the Hub is almost like opening a window into that other room. There is also a mic array, which Microsoft notes is based off of their Kinect technology, helps detect speakers and eliminate background noises. 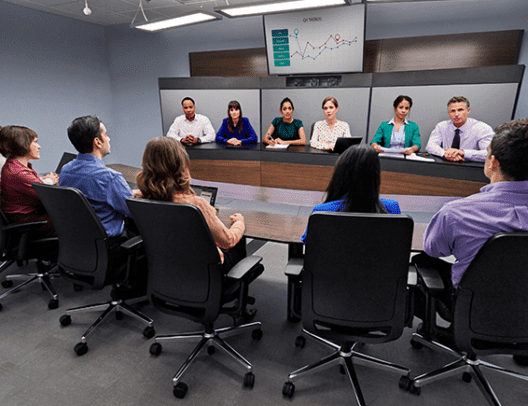 However, the 1080p cameras and on the 55″ your resolution is limited to 1920 x 1080, which is much of the same problem the Polycom runs into – why dish out all this money for inferior displays? If you are looking for an incredibly familiar experience, want to utilize the same exact apps you already do on your desktop or even phone, and keep everything in one operating system then the Surface Hub is one of your best choices. What is essentially a giant Windows tablet is a little more, but also a little less. 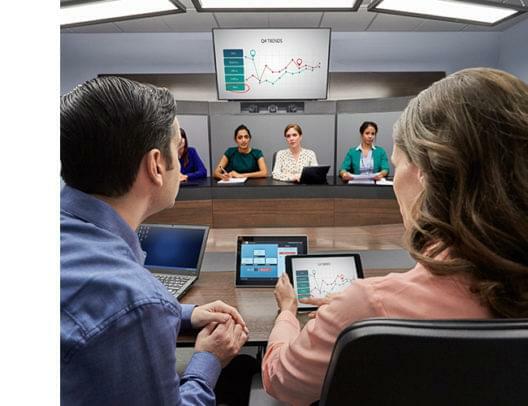 More in the sense that this devices powers video conferences up to 250 users with some great collaboration tools, like the white board or OneNote apps, or controlling a presentation using your connected laptop. However, lack of Cortana, and the lack of really strong cloud collaboration tools leave a bit to be desired. Sure the Whiteboard app and even OneNote are great products, and in reality you could use any other digital whiteboard app since its Microsoft, but then aren’t we just going back to the same exact problem of complicated setups? For hardware, 1080p cameras are also a bit yesteryear at this point, when you have a 4k display why not use it all the way for everything? Its also important to not forget the price of the Surface Hub, with the 84 model coming in at a staggering $19,999 this isn’t your novelty office toy. Thankfully, however, the 55 inch version comes in at $6,999 although still a bit more expensive than other options. Microsoft did however take note and recently launched a lease program, as well as a try before you buy option. I had a chance to attend Cisco’s Spark Board announcement back in January, to not only watch Cisco unveil the new product, but even have the chance to go hands-on and find out what the Board is really about. During the presentation itself, Rowan Trollope did an amazing job of demonstrating just how ugly and old school some of the hardware companies still use really is. With a wheelbarrow of old cables, webcams, and microphones dumped onto the corner of the stage, the Spark Board rolled out with its sleek tablet like design, and only one single wire for power. After playing on the Spark Board, I quickly realized this is just more than a big tablet, or just an updated Smart Board. The concept isn’t much different to one, or even the Surface Hub for that matter, but as we’ve seen in technology countless times, what truly matters is how the concept is executed. While it can almost be argued that the Surface Hub is limited, or too complicated, because its just a big touch screen Windows computer – the Cisco Spark Board is the exact opposite. The Spark platform powering the board is what makes it truly stand out. So Cisco might not like how much everyone has compared the Spark Board to a giant iPad, but lets be honest it. It really does look like one – and that is in no way a bad thing. During my opportunity to try out the board, someone had asked if Cisco contacted Apple for any design insight, help inspiration or guidance. Rowan was insistent that the entire design was done in house with Cisco with Scandinavian minimalism. So the Spark Board is really pretty, that’s for sure. 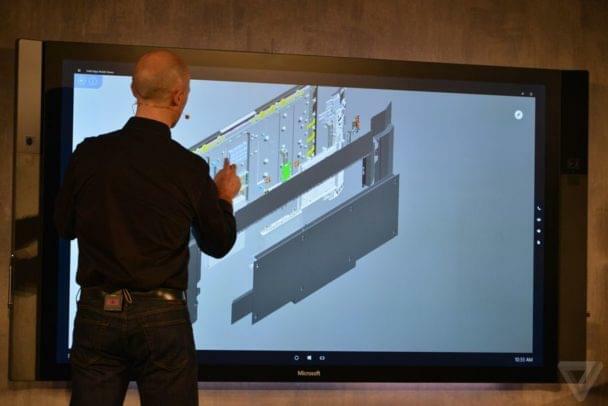 The design itself is reminiscent of a tablet for good reason, just like the Surface Hub. 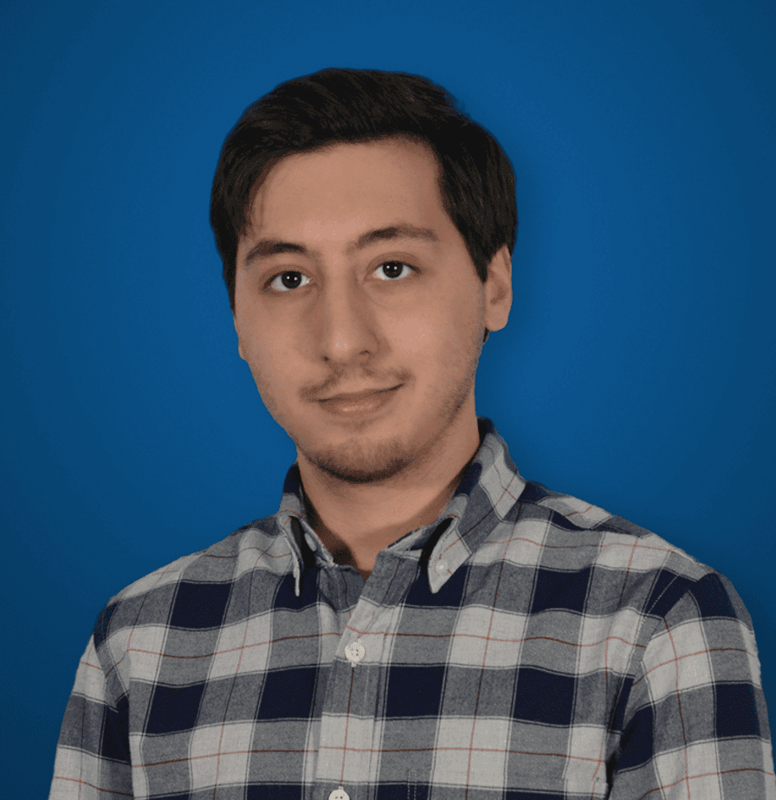 But the beauty of the experience lies with the entire Spark platform that powers the entire Board, which can really be seen as an extension of the Spark app, a popular Slack competitor. I didn’t enjoy it at first when I compared it to Slack, but Cisco did a good job reworking the app with constant UX and even UI elements being tweaked or added. Mainly, to work with the Spark Board, was the addition of the Board feature so even if you don’t have a Spark Board, you can use a digital one in the Spark App. Overall, the new UI elements include easy to recognize and select circular buttons for different functions, clearly designed with a touch screen in mind. Like the Surface Hub, this isn’t a personal computer. But Cisco has done something pretty revolutionary with their pairing technology. Simply have Spark on your phone, connect to the internet, and the second you walk in the room the board will recognize you. It makes for a really seamless, easy experience – Rowan specifically said the entire process is simpler than pairing your AirPods to your iPhone 7. Users can even make video calls directly from their iPhone dialer, thanks to the Apple Cisco partnership, start a Spark call, and swipe it directly off your phone, and up onto their big Spark Screen. The entire thing is a really pleasant experience. But since this is powered by Spark, unlike the Surface Hub, users are limited to only Spark and its Spark functions, you can’t install Excel or PowerPoint. But, like I said, Cisco did a good job bulking Spark up before the board Expansion. To start with we have the usual Message, Call, People and even Files functions so basic UC is taken care of. Oh and Cisco did an amazing job making sure the security of Spark was top notch. The Files function is what powers the collaboration on files, and makes up for the lack of a full Windows experience – you can still view and draw all over PowerPoint or excel presentations. Whiteboard of course is the new one as I said, and the real best part is since the entire thing is powered by the Spark platform, its all saved in the cloud constantly, securely. Whiteboard drawings are saved just as that, and can be replayed step by step, edited, erased, reworked – whatever. 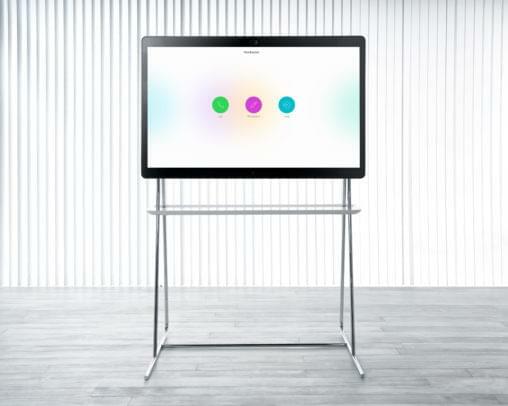 So just like the Surface Hub the Spark Board is a 100-point touch screen that allows for multiple users to draw and play at once. Again the usual touch screen controls apply, and on the Spark Board Cisco wanted to stress that you can use their stylus, or just draw freely with your fingers without any loss of function. Also like the Surface Hub, and Polycom’s solution, the Spark Board has a 4k display resolution – but with a major gain over Microsoft’s wall-tablet, the Spark Board is also equipped with a 4k camera to take full advantage of that beautiful display. The Spark Board however only has one camera, right top and center of the board so the experience might not be as window like in perspective, but it certainly will be in image quality. Cisco’s Spark Board does a great job of listening as well with what they refer to as an array of 12 individual microphones along the entire top of the Spark Board. Machine learning and AI power the device so the camera, and the microphones, can follow a speaker and eliminate any unnecessary background noise. Oh and the entire thing is available in two sizes, a 55” inch or a slightly slammer than the surface 74” model. The entire thing is incredibly simple as well with only one wire or connection point, the power cord itself. Other than that, everything is handled wirelessly and simply. As I mentioned before, the true party piece is Cisco’s unique pairing function that just make the entire thing as easy to use as a science fiction device, just walk in the room and you’re good to go. Cisco’s Spark platform is quickly rising to be one of the widest adopted, and most powerful, UC collaboration apps on the market. The Spark Board is simply the hardware extension of that immersive, collaborative Spark experience, and it truly does change the experience for the better. It is important to note, that the Spark Board will require a subscription on top of the hardware cost for the full cloud functions – but even if you don’t have a subscription, the Spark Board still operates as a HDMI display for presentations. You just don’t get the great cloud saving, security, and overall connectivity. So first and foremost, the Spark Board makes absolute sense for companies already using Spark: ditch the complicated setups in your meeting rooms, throw in a few Spark Boards that integrate with how your teams already collaborate, and you’ll never second guess the decision. Spark is a great app for video calling, messaging and meetings on its own: the board transforms that into the bigger experience. The price point at $4,990 for the 55″ and $9,990 for the 70″ when it launches definitely beats out Microsoft, although the Subscription on top might scare some away if you don’t already take advantage of Spark. Overall, if you really want the simplest approach, and see a use for Spark and its functions within your business, the Spark Board is probably one of the easiest to use, simplest and most powerful 3-in-1 whiteboard, video conferencing tool, and meeting space. Right away I’d personally recommend the Spark Board or the Surface Hub over a Polycom approach any day of the week. These solutions are meant to revolutionize the way we setup and outfit conference rooms, specifically aiming to reduce the clutter, reduce the complication, and improve adoption. A massive selection of technology already exists, and the puzzle can be pieced together in a number of different ways, but that’s exactly where the problem lies. If every setup is different, or a mix-match of different hardware, then you are going to end up with a complicated rats nest of hardware that just doesn’t work together, or is too complicated for Steve in Sales to get up and running. Based on that, and that premise alone, the Surface Hub and Spark Board and the future solutions, meanwhile the Polycom is a modern take on the old solution. The comparison is almost a laptop to a typewriter, an iPhone to a Palm Pilot. Unless you are already using Polycom gear, well even if you are, do yourself a favor and try adopt something that will actually be used. I’m glad you found the post informative, thanks for your input!